Intertek Group plc ("Intertek" and the "Group"), a Total Quality Assurance provider to a range of industries worldwide, is pleased to announce that it has entered into an agreement to acquire Alchemy Investment Holdings, Inc. ("Alchemy”), an industry leader in People Assurance solutions for the food industry. In a world of increasingly complex supply chains and distribution channels, employees are key in driving operational excellence in multi-site organisations and there is a growing demand for bespoke People Assurance solutions to identify/monitor and efficiently close critical skills gaps amongst frontline employees. Intertek is a global market leader in Assurance solutions, enabling clients to identify and mitigate the intrinsic risk in their operations, supply and distribution chains and quality management systems. The acquisition of Alchemy, a high-growth, high-margin, highly cash-generative, capital-light technology-enabled People Assurance solutions provider, will further strengthen Intertek’s global Assurance offering. 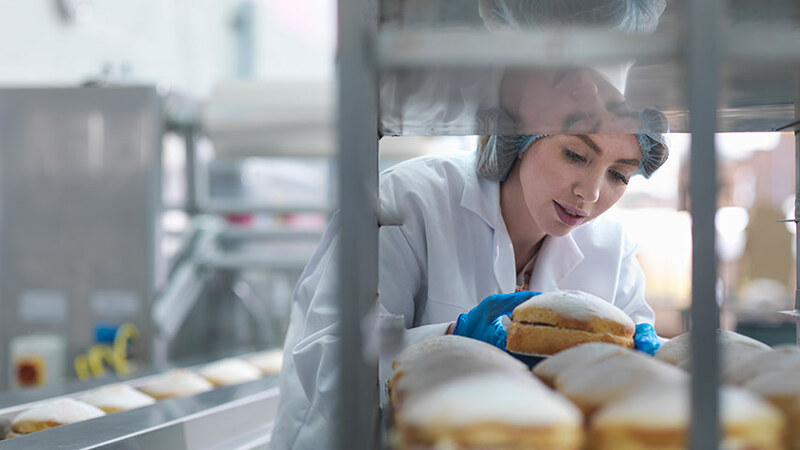 Alchemy has developed industry-leading content delivered through technology-enabled platforms that provide interactive People Assurance solutions to operations in the food industry. Alchemy’s cloud-based software services help clients drive safety, productivity, operational excellence and customer service by monitoring skills gaps within their frontline operations and offering targeted interactive learning solutions. Alchemy’s industry-leading content and unique technology platforms are fully scalable within the food industry where Alchemy has 1,100+ clients. Alchemy’s solutions are highly relevant across all industries with a large deskless frontline workforce and Intertek will leverage its scale to offer Alchemy’s People Assurance solutions to its global client base across multiple business lines and industries outside food. Founded in 2003 and headquartered in Austin, Texas, Alchemy employs approximately 270 people at four locations across the U.S. and Canada. Alchemy is majority owned by the private equity firm The Riverside Company. Alchemy will be acquired for a cash consideration of US$480m on a cash-free and debt-free basis. "Intertek Total Quality Assurance (TQA) provides a superior service to our clients through our end-to-end systemic Assurance, Testing, Inspection and Certification (ATIC) solutions. With the acquisition of Alchemy, we are continuing to strengthen our TQA value proposition with the expansion of our Assurance business into People Assurance, helping to provide our clients with a higher level of quality assurance and with greater peace of mind. Intertek’s growth in Assurance services has predominantly been focussed on assuring the quality of clients’ systems and operating procedures. Alchemy provides us with the opportunity to expand and broaden our Assurance offering towards the assurance of employee skills across our clients’ organisations. As corporations around the world increase their focus on quality, safety, productivity and compliance, closing skills-gaps to deliver only the highest customer service standards has become mission critical for clients. Alchemy’s unique tailored learning software helps to close the loop, identifying and plugging these gaps quickly and efficiently. Alchemy is a high-quality business with scalable solutions that can be rolled out across many different industries and geographies. This will further accelerate the growth momentum of our high margin and capital light Assurance Business. A live webcast for analysts and investors will be held today at 7.45am UK time; +44 (0) 20 3003 2666 (Link to webcast). Details can also be found at http://www.intertek.com/investors/ together with a pdf copy of this report. A recording of the audiocast will be available later in the day.